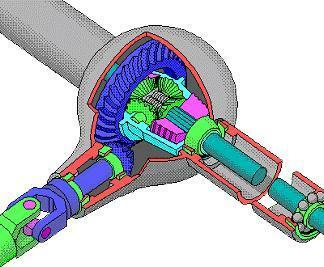 A differential is a device capable of transmitting torque and rotation through three shafts. The differential receives one input and provides two outputs - this is found in most automobiles, and it combines two inputs to create an output that is the sum, difference, or average, of the inputs. 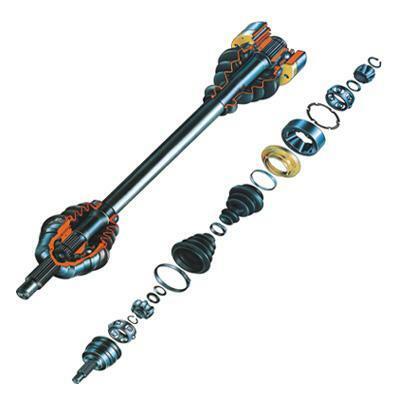 In automobiles and other wheeled vehicles, the differential allows each of the driving road wheels to rotate at different speeds, while for most vehicles supplying equal torque to each of them.